Pinyin, or more formally Hanyu Pinyin (汉语拼音), is an alphabet (romanization) system developed in China back in the 50’s. Hanyu means the Chinese Language, and Pinyin means “phonetics”. Pinyin is quite close to the English pronunciation system where a Chinese syllable can be composed of an initial(声母)(consonant) and final(韵母)(vowel). Pinyin is generally used in dictionaries and Chinese language textbooks. In addition, the mastery of the Pinyin system makes Chinese word-processing (IME) much easier. 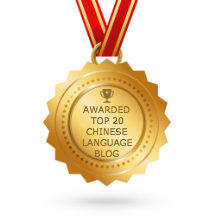 In short, mastering the Pinyin is the foundation for successful learning of the Chinese language. m, f, n, l, h and sh are pronounced as in English. Thank you! I’ve been looking all over on sites that supposedly “help” you learn Chinese, but none so far have been as good as this. I use Google Translate, and I’m having a bit of a problem with the pronunciation (I’m reading it phonetically) because the speaker sounds the words differently than how I’m saying it. Good Job! To pronounce Chinese correctly, first you have to learn the tones in Pinyin. Is there a worksheet for the initials? I have been searching for something like that but haven’t got any luck. nin hao Min Min laoshi. Nin hao ma? I’ve been working with pinyinchart while i came accross these pinyin syllable: yo, yuo, fiao and tei. I’m being do search for their meaning without succed. Would please help me with their meaning . For the pinyin syllables: yuo, fiao and tei, I am sorry to say that there is not such syllables in Chinese. by typing the syllable : yo, yuo, fiao and tei. usually i’ll just lurk here and learn but min min i have a question for you. i heard the r sound is pronounced differently in different parts of chin, is that true? and have you already covered it in another page aside from this one? love your website by the way it is very helpful and aided me with learning chinese tremendously. Have you downloaded my pinyin e-Book? I have covered most of the Hanyu Pinyin in the book. It is free to download. No i have not yet downloaded the ebook, but i eventually will download it especially to see how it covers pronounciation of certain letters like r.if it’s covered there i will look into it when i have a enough time to download it. I want to learn chinese but am not able to download your book. Thanks for downloading the ebook. If you have any question about Pinyin, please feel free to ask. I hope the Pinyin ebook is helpful in learning Chinese.